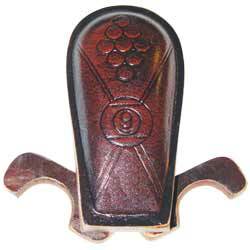 Without a doubt these are the most elegant and functional cue holders we carry. 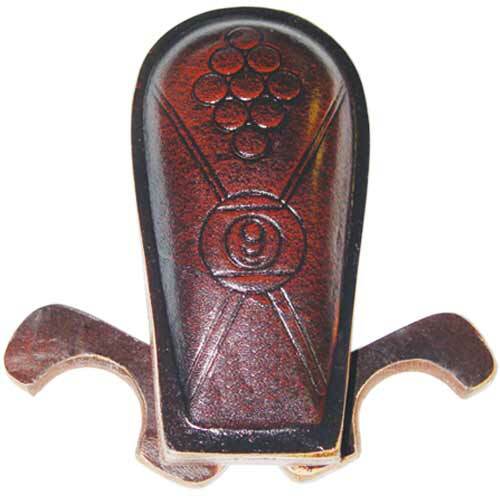 Made of several layers of thick cowhide and decorated with a rack of balls and two cue stamped into the leather, this holder has the handcrafted look of the old west. The cue holder parts fold in for storage and out to hold the cues. It fits easily in most cue cases. It is weighed to sit steadily on most tables and countertops. If that's not enough it has a rubber suction cup on the bottom to insure it doesn't move while in use. Comes packaged in a nice decorative box. USBilliardsSupplies.Com has billiards supplies for less!